This is your 40 year old self writing to you. I’m writing to you 3 months after Dad’s passing. In your 40 years of existence these are the darkest moments of your life. The pain can be so agonizing that you will feel it in your bones. I’m writing to you to make sure you understand just how important family is and hope that you understand the moments that you think are the end of the world are really just stepping stones in your life. Mom and Dad will not have their health forever. Treasure them. Appreciate your time with your family. Go to Disney with them, take the family car ride to North Carolina and spend more lazy Sunday afternoons in the pool with them. In the end these moments are what matters. You’re going to go through an awkward preteen stage. You will hide your face with your hair, crimp your hair and “Sun In” your hair. Thanks for the damage to our hair, but I’ll write about that another time! Most of all you will be reluctant to take family photos because you think you look less than perfect. Dad’s health will deteriorate and when he dies those photos are your lifeline. Take the photos regardless of how you look! You will be embarrassed to hold Mom and Dad’s hands in public. STOP THAT. Hold their hands as tight as you can and never let go. Stop worrying what other’s think. Make tons of beautiful memories. You will get your heart broken, but it’s not the end of the world and it’s certainly not worth all that sulking. Your first marriage will be a colossal mistake. He will kick you when you are down and his lies will cut you like a knife. Dad will tell you endlessly, “You can always come home.” Eventually you will go home. But you are going to waste time being angry, sad and disappointed. Throughout your divorce Dad will become your anchor, cherish these moments. Eventually you will meet your soul mate, and you will get butterflies every time you see him not because you are fearful but because he shows you unconditional love and pushes you to be a better person. In the end you will realize your happiness is not the result of any man, your happiness is the result of YOU. Read these words clearly…..both Mom and Dad were right. Dad is going to get cancer. Your entire world will stop spinning the day you find out. During Dad’s journey try to remember that Mom is human too. Mom is going to be Dad’s caregiver, and you know her caregiving abilities are similar to Mother Theresa. She’s not going to say she’s exhausted until she’s ready to fall over. Hug her often, tell her you love her daily. During Dad’s illness your relationship with Mom will form an even stronger bond. As you watch her care for Dad you will admire her for her strength and courage. She’s not just your mother, she’s the definition of bravery and selfless love. Dad’s cancer journey becomes your own personal crusade to restore his ability to eat. You are going to torture yourself trying to find “the one” that can help. Your will watch cancer rip him apart bit by bit. He will die unable to eat or drink. Please cherish all the family meals you have with him. By the way, try the calamari, it’s nice that Dad pays you $20 to try new foods, but stop being so picky and eat the damn food! You’re going to like it when you’re older anyway! Trust me. Accept what is happening is God’s will and cherish the limited time you have with Dad. You will have a very difficult time with this. Being angry at God only makes this road more difficult. When Dad dies you will have no regrets because you listen to yourself and tell him tirelessly how much you adore him, and he will tell you with his last breath that he adores you. Accepting Dad’s mortality will be one of most difficult moments in your life. Holding his hand as he takes his last breath will shatter your heart and it will be at that moment that you will realize Dad was right all along. Hold your head high and be proud of who you are today. You have the fairy tale father daughter relationship. You have a family who loves you. You have your health. You are strong. You are blessed. Towards the end of my father’s life I became very angry with God. I spent 7 years watching my father’s crusade to eat once again. It was abominable, heartbreaking and enraging. Holidays, Birthdays and special events were no longer “special.” Food became the symbol of my father’s struggle, and food is at the center of every single celebration in life. I struggled to understand why this was happening to my father, why my family. I was having a difficult time understanding why my sweet father had to suffer yet we have prisons full of bad people who are perfectly healthy. Let’s give the cancer to them and save the good people like my Dad. Please understand, I watched my father suffer. His screams and cries shattered my heart. I was desperate and “giving cancer to bad people” seemed very logical back then. My father on the other hand became deeply religious. His bible was tattered and highlighted, notes in his shaky penmanship were in the margins. He would ask me to hold hands and pray with him. I would watch my very weak, frail father pray with such force. He believed. The night before my father died is embedded in my brain. We sat in the ER for hours waiting for someone to fix his Peg Tube. We were told there was an issue with the tube and they were concerned he was aspirating again. We now know he was dying and his body was rejecting the feedings. I had to walk out of my father’s room because at this point tears were flowing and I was having a very difficult time keeping myself together. As I paced the emergency room corridor I cursed God in my head and eyeballed everyone else looking healthy and happy. I remember seeing a cute elderly lady laying on a gurney thinking, “Even she looks healthier than my Dad! I bet she’s like 100! This is so unfair!!! !” A couple feet away was a man who had a broken leg and I thought to myself, “Isn’t he lucky he ONLY has a broken leg!” I was furious and despite the sweet old lady smiling and waving at me I wasn’t sure if I wanted to scream at her or wave back. It was so unfair! Did God forget our family? Our story wasn’t done, I wasn’t ready to say good-bye despite how much my father was suffering. I wanted my father alive and healthy. After I finished my adult tantrum I made my way back to my Dad. He was sitting in his bed, quietly watching TV. I looked right into his eyes, held his hand and told him, “I love you more Dad.” He smiled and said, “No I love you more.” He asked for my mother, who was right next door. I watched them hold hands, hug, kiss and tell each other how much they loved each other. With tears in my eyes, I watched my mother gracefully cover my father and try to make him as comfortable as possible. The loved they shared for each other was so powerful you could feel it. I watched my mother care for my father in what would be the last time. With movements like an angel she comforted my dying father. It was at this moment I realized my father was dying. Instantly I began apologizing to God begging for mercy. We tried our best to get my father comfortable that night as he was transported to a hospital room. When the nurse told us it was safe to leave we all kissed my father good night and left. I knew my father was dying and I prayed harder than I ever prayed that night. After 7 years of watching my father suffer I wanted to hold his hand as he took his last breath. I begged God to please help and be merciful. I begged for His forgiveness. My father endured suffering and pain to great lengths, but his death was beautiful. Through my father’s pain and suffering he showed me and continues to show me that God is good and heaven is for real. I carry in my heart a lifetime of beautiful memories. My father’s tattered bible, the feathers I’m constantly finding since my father’s passing and so much more is proof that God was there all along, He still is. Cancer is an unexpected journey that needs to be told. I am my father’s living breathing legacy. As long as I have breath in me I will memorialize him. Your actions or lack of actions can be the spark that ignites the fire of grief and suffering. Your actions can also be the one that comforts us, the life vest we are searching for as we navigate through the massive waves of grief. The journey doesn’t end when the person dies. The journey evolves into a quest to come alive again and live a new normal. How do I survive with such a significant void in my life? Thank you to everyone who has stopped by so far, feedback is always welcome. It is a magnificent blessing to really get to know your Grandmother throughout your adulthood. I am blessed to have a healthy, accomplished 85 year old Grandmother. She is the last of my Grandparents and I value her wisdom, love and friendship. I have always known the true value of family; now with my father gone I’m feeling it in my soul. Grandma, Dad always valued his relationship with you. He said you never made him feel like an in law – he felt like a son. This is something he told me up until days before his death. 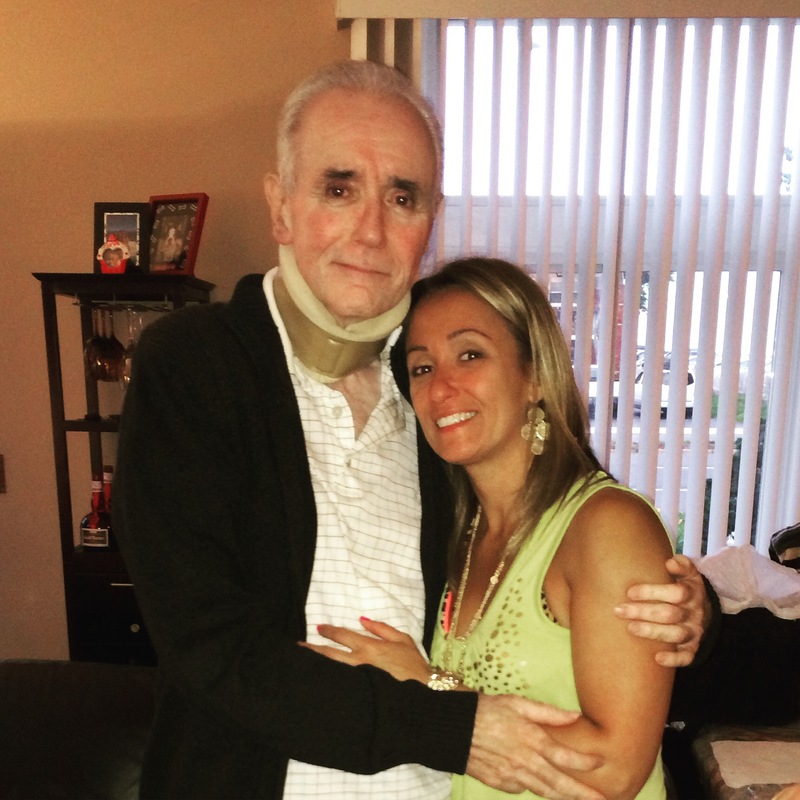 As my father’s health deteriorated, I began to lean on you for guidance. During the darkest moments of my life you have offered encouragement, advice and honestly. As I reflect on my father’s illness and my mother’s angelic caregiving abilities, I am realizing these qualities were inherited from you. I watched my mother transform into a hero as she was Dad’s caregiver. She selflessly cared for Dad for 7 years. Many times I would look at my mother in awe and wonder where her courage, kindness and resilience came from. How could I not realize these characteristics are an inherited quality from you? You the strongest woman I know, you are living proof that life goes on despite the detours life throws in our path. You beat cancer, heart issues, survived World War II and so much more. You are one of the most vivacious, optimistic, and resilient people I have ever known. After my father died I counted down the minutes for you to arrive. Your hug instantly brought me back to my childhood. During one of the saddest times of my life you made me feel safe and warm. I didn’t want to let go and return to reality. As we grieve the traumatic loss of my father I watch you selflessly hold us up. You are the light in the darkness guiding as we find our way in this new life without Dad. You are the definition of bravery and wisdom. You are my Grandmother and I am proud to be your oldest granddaughter. Grief comes in waves. When the waves come crashing you grab for the closest form of life support. When my Dad took his last breath a part of my heart left with him. Years of watching my father suffer, years of begging God to be merciful were now done. Just like that my life changed. And just like that my heart felt something it never felt before, excruciating pain. Pain so deep I thought I was going to die myself. I developed my own little force field where I quickly realized I was unable to leave. My house, my parents house and my sister’s house. Anything beyond that was disastrous. Of course I had to leave the force field to visit the dreaded funeral home. My sister and I assisted our grief stricken mother as we prepared my fathers final goodbyes. We were already so tired, the thought of a wake was paralyzing me with fear. I worried my father’s wake was too overwhelming for my Mom after years of caregiving. The thought of people commenting on my father’s appearance made me cringe. Commenting on how sick he looked, how skinny he was, the color of his suit. The image of him laying peacefully in his casket with his hands gently folded holding his rosary while guests were staring at him began to enrage me. Rage quickly consumed my body. I didn’t want anyone to see or touch my father. This wasn’t a special screening to an exclusive movie, this was my father. I mean why do they call it a “viewing” anyway? Why did we need to have a “viewing time” for a bunch of people to stand over my father’s body and make small talk? Who thought of this form of torture for the surviving family member? I began to question everyone, and think thoughts I’m now ashamed of. I was angry, my father was dead and NOW people wanted to come see him? It seemed so backwards to me. I was totally consumed with anger. Knowing what I was thinking, my sister held my hand, smiled, looked into my eyes and said, “But it’s Dad.” Ugh! She was right. At that moment my sister convinced my mom and I we had to do a wake. Between tears and heartache we made the arrangements complete with a proper military burial. The dreaded day of the wake arrived. The thought of walking into a room and seeing my sweet father in a casket was paralyzing me with fear. My mom and I slowly walked in for our private family viewing. Although I am the adult child comforting my mother, at that moment I felt myself regress to a child, grasping my mother’s hand for comfort and safety. The funeral director greeted us with his programmed sad face and began babbling about how my father looked “fantastic.” telling us we are going to be very pleased. To his defense we expressed concern about my Dad’s appearance because the cancer ravaged his body, but I wasn’t in the mood to discuss how “fantastic” my dead father looked. I’m not sure what came over me but I looked at him and said, “He’s in THE box! No one looks fantastic in THE BOX.” Well, that shut him up and thank goodness because I wasn’t in the mood to chit chat with the Grim Reaper for the rest of my father’s wake. When we saw my father we cried enough tears to fill the Hoover Dam. Family viewing time ended and the room began to fill with countless guests. As I sat next to my mother I felt like a Jack in the box getting up and down to hug people. People with tears brimming in their eyes. Grown men weeping over the loss of a great friend. I began to feel silly for the rage I was feeling the other day. I began to see the massive impact my father had on so many people, some people I never even met. Slowly my anger was morphing into agonizing pain and a great sense of pride. I scanned the room again and realized these people drove from near and far to pay respects to my father. A four hour car ride to say your final goodbyes to a friend is nothing short of magnificent. These people loved my father and were taking time out of their busy lives to pay their respects and offer condolences to Al’s girls. What happened next was truly amazing. I was making my way to the ladies room and I saw a group of uniformed police officers. Please understand I felt like a Clydesdale horse walking around with blinders on. I walked directly into the officer and he proceeded to hug me and offer me his condolences. Wait what? I rubbed my eyes and realized this officer was one of my boyfriend’s officers. These men all took time out of their busy schedules to drive to headquarters, put their uniforms on and then drive another hour to my fathers wake. One by one each officer walked to my mother then my father’s casket and paid their respects. I was overcome with gratitude and pride, I watched the entire room grow silent and observe a single file of uniformed police officers pay their final respects to my Dad. I was moved to tears of pride. It was at that time I was positive I felt my father touch my shoulder. I know he was proud. The outpouring of love and grief was apparent throughout the evening and into the burial the next day. My father had an amazing send off, complete with The NJ State Police guiding our procession to the cemetery (special thanks to my brother in law) and the United States Army playing Taps at my father’s grave commemorating his service. These are days that I will never forget. They were the saddest days of my life, but they also opened my eyes to the kindness of others. 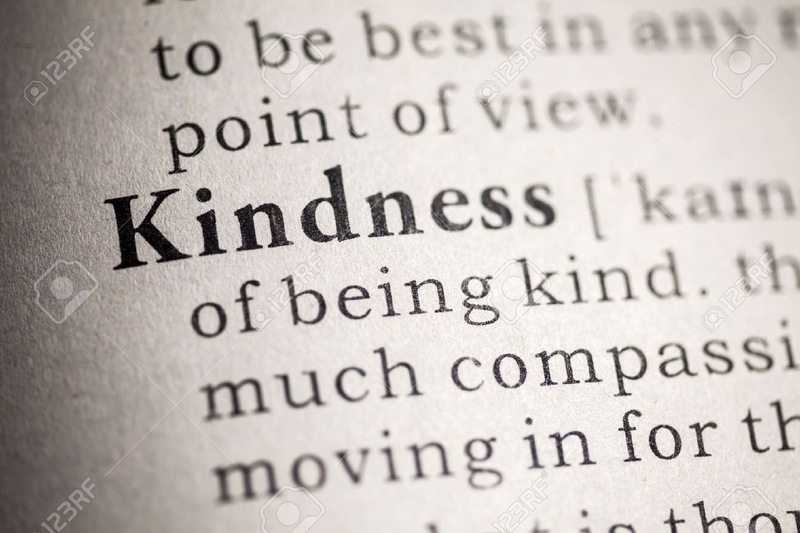 Kindness that was given to us during a time when we had nothing to offer. You never forget the people who pay their respects to a deceased loved one. I hope their behavior will help me to display the same acts of kindness towards others. I am your oldest daughter. You taught me everything I have ever needed to know in life. I learned how to dance standing on top of your feet, throw a baseball, drive. I didn’t eat chocolate sprinkles for a decade because you convinced me that they were chocolate covered ants. I know your still laughing! But most of all I learned how to live life to the fullest while remaining humble and kind. They say when a loved one dies they never leave; they are always walking beside us. Often I can feel you next to me. I look for your face in others when my heart feels like it’s breaking. Now that you’re gone I have found enough fluffy white feathers to build my own angel wings, fly to heaven and see this new place you call home. Can I sit with you just once more and hug you? Can I finally bring you that glass of water I denied you the day before you left? Can I finally bring you that eggplant parmigiana sandwich I was supposed to make for you? Can I finally bring you that glass of water I denied you? I now have the opportunity to share our family story. We never picked the battle you fought, but if we can help just one family we won. If I can we reach just one patient, just one caregiver, just one daughter agonizing over watching her real life super hero suffer and let them know they are not alone we won. I am your living breathing legacy and as long as I have breath in me I will tell your story. I am forever grateful for life and opportunities. I am proud to be your daughter. Until we meet again my sweet father, you are forever in my heart. It seems like everyone is battling cancer these days. And if you’re not battling the monster, you’re holding the hand of someone you love battling it. Cancer comes crashing into your life like a violent storm leaving you walking a detoured path that you did not sign up for. When you receive the news that someone you love has cancer your entire world comes to a screeching halt. It was January 3, 2009 when my mother called with the news. MOM: “Your father has cancer” ME: “What? No! Are you sure you heard the doctor right? Did you SEE the medical report?” Obviously these doctors were wrong! My father was the non smoker of the family. He was disgusted by smoke. He watched my grandfather suffer from lung cancer. No, my father did not have throat cancer. After some good old fashioned denial I discovered that my father had Stage IV base of the tongue cancer, cancer in his lymph nodes and it was huge and really quite scary. Slowly we began to deliver this heinous news and slowly we began to receive enough unwanted advice to write a book. Below I have a list of the top 10 most annoying things people have said to my family during the past 7 years of my father’s battle with cancer. Anyone fighting cancer, or watching a loved one fight this disease has more than likely received unsolicited advice from Dr. Google. So, here we go. Drumroll please! We are all Gods children. The Lord gives each of us a cross to bear. Ok what does that mean? God still loves us despite this nasty little bout of cancer? This used to irk the hell out of me. My friends mom just died from cancer. She really suffered. Gee thanks, that’s totally uplifting. Got any survivor stories for us? Tell your Dad to drink a glass of Aloe Juice with a drop of tea tree oil and a splash of lemon juice after running 5 miles, everyday for a week. I use tea tree oil on my zits and it works, aloe juice will cleanse his system and cancer patients need to exercise to keep their mind busy. Remind me why we are friends again? Oh my god! When I brush my teeth I spit out blood sometimes! Do I have cancer too??? I’m not a doctor or God, because if I was I would have found my father’s cancer. Go see a doctor you hypochondriac. It’s at this point I begin to think that I seriously needs to reconsider some friendships. But how did he get it if he never smoked? Does it matter how ANYONE gets cancer? The goal is to defeat it and live life. Dont worry Michael Douglas has throat cancer and he looks great! I just saw him on TV. And Catherine Zeta Jones looks great too! OMG just shut up please. Insert sad face…Your dad can’t eat anything???? I can’t imagine not eating ANYTHING! That’s horrible. I mean I really like food! Wow! Have you tried baby food? Or go buy a Ninja Blender…they sell them on TV late at night. Those things purée anything!!! By the way, I ate baby food when I had my tonsils out 40 years ago. It works, trust me. I can assure you we have tried everything, but my father has a medical condition. His epiglottis was destroyed during radiation so he CANNOT eat or drink. So kindly shut up. I read an article online about those Listerine Strips he used in the 80’s. I bet he got his cancer from those strips. Or the food, do you KNOW what they are putting in our food these days? I read that online too. This is where I pretend to be deaf this person will stop talking. But they don’t, reference #9. I also read an article in Readers Digest on physical therapy post cancer. He just needs to try harder. He’s probably just depressed. I mean he’s stuck in the house ALL day with your Mom!!! And you know how your Mom can be!! (As he’s sitting next to his wife that smokes like a chimney who proceeds to kick him UNDER THE TABLE and tell him to shut up) Seriously just shut up, and really with the Mom reference? If you read my previous post on my mom you all know how she can be. She can be pretty awesome if you ask me AND my Dad. But what do WE know. Your Dad is so sick, do you have any regrets? Like do you wish you remarried before he got so sick? I mean if he dies WHO will walk you down the aisle? I have no regrets, but thanks for trying to get into my head because I don’t have enough going on at the moment. And there you have it folks, stupid sh!t people say to cancer patients and their families. Sometimes, it’s better to say, “I wish I knew what to say but I don’t, so I’m just going to hug you and a say a prayer for your family.” Trust me that sits so much better than advice from Dr. Google. When someone dies, there is an entire cavalry of people who dash to offer the griever the comfort they know that they themselves would need. In a world inundated with violence and hate there are a whole group of people with a whole lot of love just waiting to share it. I know this because I have experienced this during the darkest time of my life. A week before my father died he was rushed to the hospital by ambulance. Immediately following that ambulance ride all these beautiful acts of empathy were displayed. One by one, friends near and far were reaching out with one purpose in mind, to display acts of kindness and compassion during my family’s darkest moments. The nurse taking care of my father sat with me outside my father’s room as I sipped a cup of coffee. She touched my shoulder as I cried and said, “I know how you feel, I lost my Dad after a long illness.” Nurses are busy people! This woman had an entire floor of sick patients but made the time to console ME. A friend made a point of asking me every single morning for a status update. One particular morning all I could say was “I hate all the tubes and wires sticking out of him, there are so many.” Tears filled both of our eyes and we kinda just remained there in a very comforting moment of silence. Other friends were calling and texting non stop to see how my family was coping. A week later my father died surrounded by his family. As far as death’s go it was a beautiful send off. My Dad went straight to heaven, this I know for sure. His suffering ended and ours was just beginning. We needed our friends and family more than ever and they knew it. Immediately following my father’s death more beautiful acts of empathy were displayed. I’m not sure how or why but something as heartbreaking and tragic as my father’s death set off a chain of events that kept my head above water, these acts gave me a very tiny glimpse into a very tiny light during such a dark time. My mom’s neighbor came by with a platter of sandwiches and cookies. She sat on the couch held my moms hand and quietly listened. Another neighbor delivered dinner for the next two nights. She sat on the couch, held my mom’s hand and prayed with her. Flowers, beautiful flowers were arriving with even more beautiful messages. Family and friends began sending old photos of my Dad. With each photo they wrote a memory of my Dad. I loved seeing the photos, new and old. It was like looking into a mirror and seeing a part of me. And the cards, so many beautiful cards were sent to my home, my mother’s home and my sisters home. Each card was accompanied with a beautiful note. I knew my Dad was an awesome guy, but these notes supported my theory! Some of the stories even put a smile on my face and made me giggle. Each note was like receiving a big virtual hug. I understand death is something so many would rather just not deal with unless it’s their inner circle. It’s that giant white elephant in the room. I’ve even written about people, family who have disappointed me by their cold non reaction to my grief. People who have met my father, spent holidays with my father and never even took 5 seconds to express condolences. Look I get it, there was a time when I would have totally rather done anything other than pay respects for some dead guy. I’ve done it myself, we all do. But now death has taken my one and only father, the man who raised me. My best friend, the guy you met. The guy who asked about you regularly despite the monster he was battling. Death has hit home now. I can only hope that all these wonderful acts of empathy have opened my eyes and will enable me to be a better person, to shower others with random acts of empathy when they are being pulled into the black hole of grief. My mother is an extraordinary woman. She inspires me to be a better person. She has spent the past 7 years selflessly caring for my father after a horrific battle with Stage IV tongue cancer. During this time she would laugh with me, cry with me and express her fears and frustrations with me. My mother is the definition of strength and courage while surrounded by heartbreak and human suffering. My father constantly reminded me that he was alive because of my mother’s resilience. Two days before he died I was alone with him in the hospital and we had what would be our last heart to heart conversation. Looking back, I believe my father knew he was going to die and was preparing me. He held my hand looked at me straight in the eyes and said, “Always remember I’m alive because of your mother. She has dedicated her life to take care of me. Now I need you and your sister to look out for her. I will always love you and I will always be with you.” He died 48 hours later. It was not uncommon for my father to scan old photos of my mom and email them to me, but he did this more frequently as his health began to decline. Each photo would have one simple caption, “My Marie.” My parents would leave love notes throughout the house for each other, notes that we are still finding. In 2015 my father spent 2 months in rehab where he wrote a note to my mother thanking her for loving him and keeping him alive. At that time he was so weak and frail it even showed in his shaky penmanship. We found this note shortly after his passing. Whenever my father was hospital bound he told his nurses, doctors and me about the sacrifices my mother was enduring to provide him with care “fit for a king.” The love my parents shared was a once in a lifetime kind of love. I believe my mother was able to provide the type of care she did for so long because my parents had a marriage that fostered true altruism and unconditional love. The life of a caregiver is not easy. I watched my mother selflessly care for my father. She spent numerous sleepless nights fearful that my very weak father would fall if he needed to get up and use the bathroom. Her days would be spent caring for my very sick, frail father. Although he had hospice care the last 4 months of his life that was only for a few hours during the week. It was my mother who was my father’s primary caregiver. It was my mother who dedicated her life to taking care of my father. It was my mother who made sure my father was alive and a vibrant part of my life, my sister’s life and the life of his grandbabies. But if you ask her she will tell you with tears in her eyes that her love didn’t save my father. She will tell you that she would get frustrated and sometimes yell. She will tell you that as my fathers health was rapidly declining he began to require around the clock care and she was having a difficult time keeping up. We often forget that the caregiver is human. I certainly did. I was so focused on my father and his illness I forgot my mother was the one breathing life into him each day. Mom, you are so much more than Dad’s caregiver. You are my mother, my best friend. You have illuminated human bravery and wisdom during the darkest moments in our family. Thank you for taking care of Dad and showing me what true, unconditional love is.